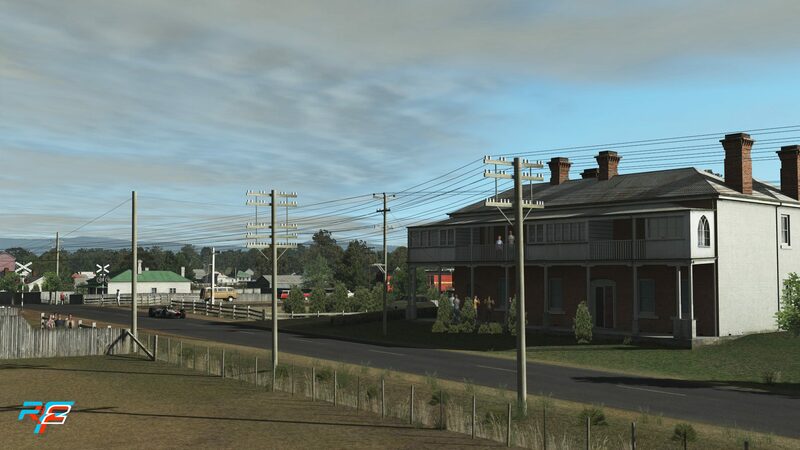 We’re excited when it’s time to release content, or in this case re-release content that’s been updated and improved with all the latest weather and DX11 effects – adding quality, compatible content to the track roster, is always a welcome addition! 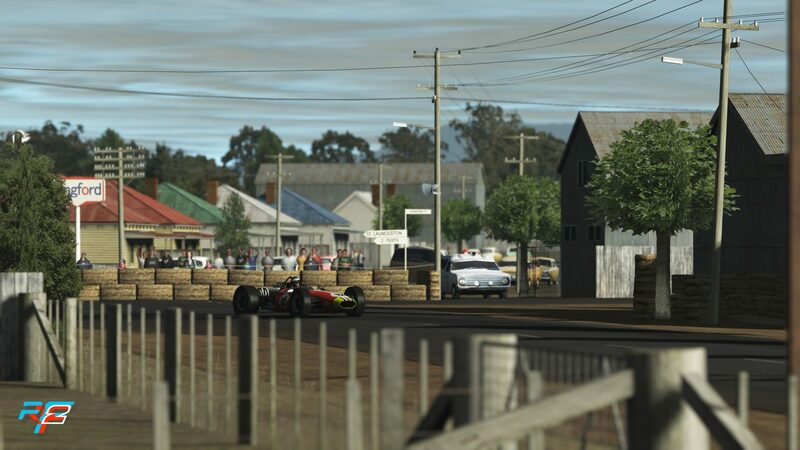 Long time community member and hyper dedicated modder “woochoo”, has once again re-sharpened his skills, learned how to integrate the latest weather and lighting effects, and proceeded to overhaul and create a revised version of the track Longford, a track that so many of us classic fans have enjoyed over the years in rFactor 2. 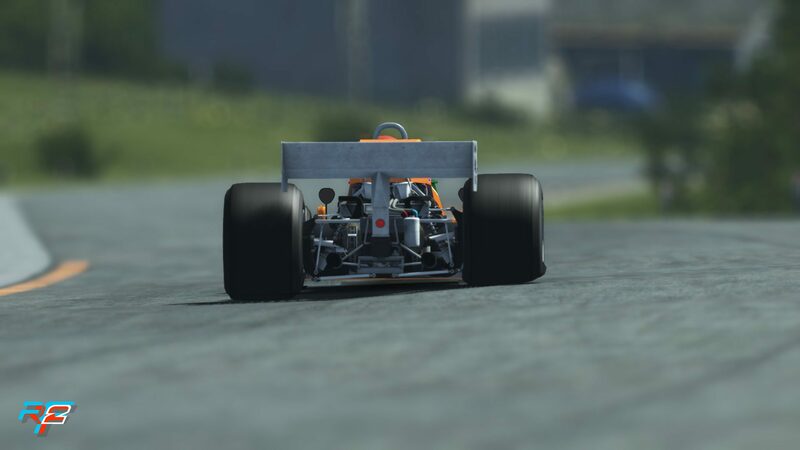 We decided because of this it was more than worthy to be part of the base set of tracks in rFactor 2, and also as a show of our dedication to support quality modder content. You can login to your Steam account and subscribe to the track here: https://steamcommunity.com/sharedfiles/filedetails/?id=1479307545 (note that this workshop item replaces the old one). 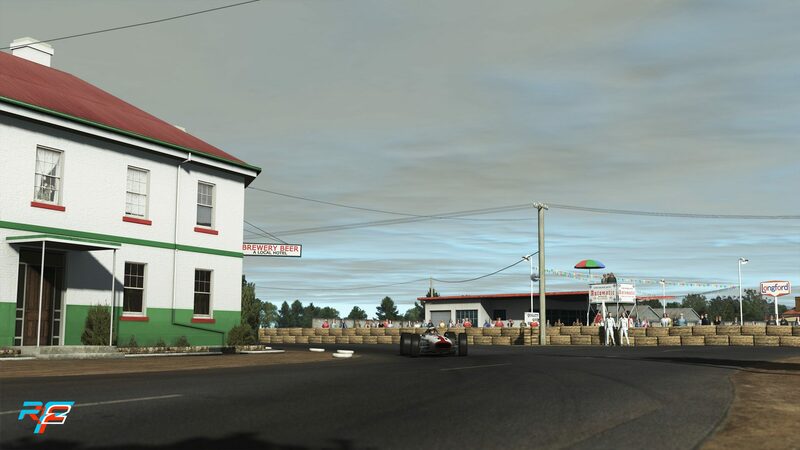 The real Longford Circuit was made up of 7km of public roads on the edge of the town of Longford, Tasmania. The first event was held in 1953, and the final race meeting was in 1968. 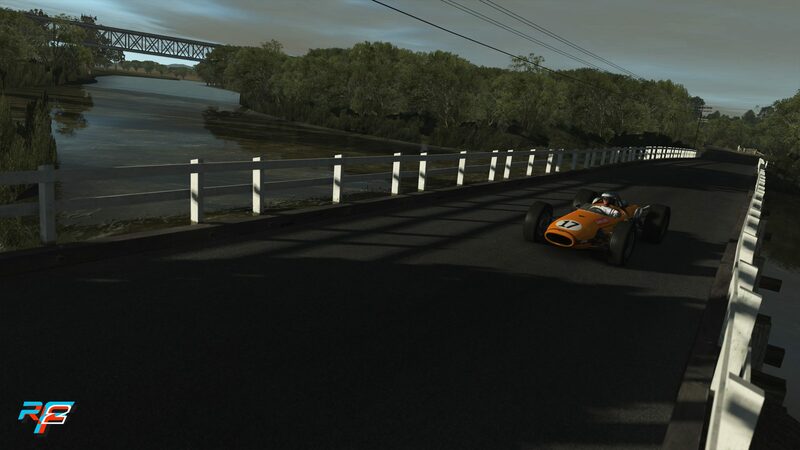 The Tasman Series was a highlight in the history of the Longford events and attracted leading Formula 1 drivers of the time including Jack Brabham, Jim Clark, Jackie Stewart, Graham Hill, Phil Hill, Denny Hulme, Bruce McLaren, Chris Amon, Pedro Rodriqez, and Piers Courage, and cars by Brabham, McLaren, BRM, Lotus, and Ferrari. 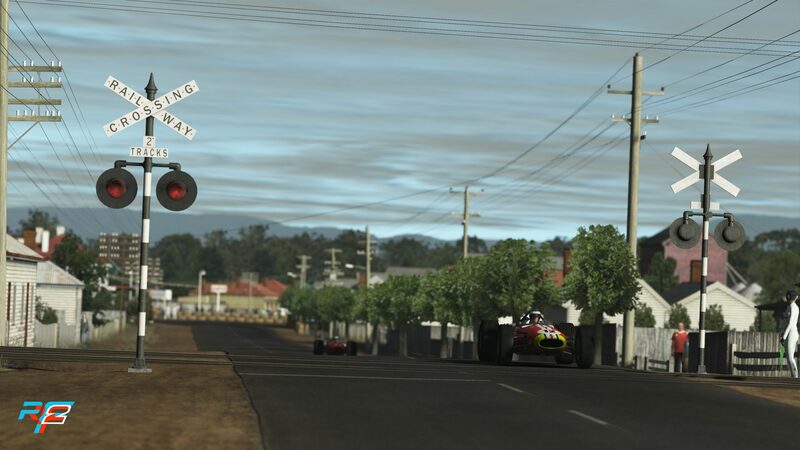 If you don’t already know it like the back of your hand, Longford is a track you’ll need to ease into and ‘learn’ before attacking the turns – take it slow enjoy the scenery, and study those brake markers! 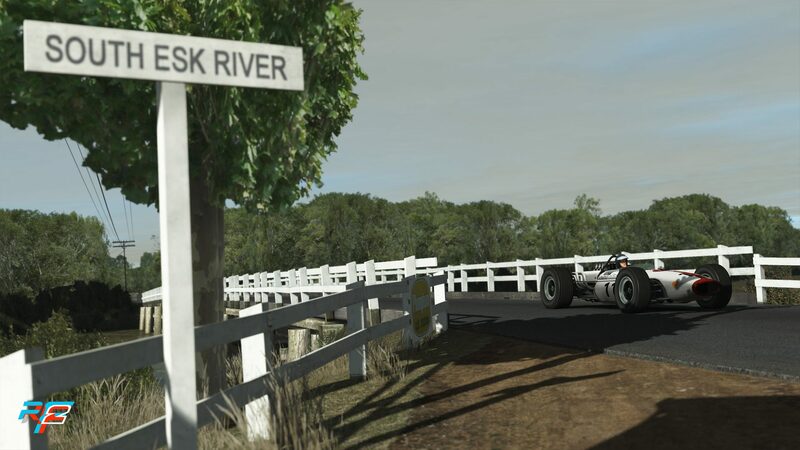 Full of vintage trackside objects, it mixes top speeds with sharp angled turns that come up like a slap in the face – this combination creates an intriguing mix of fun and fear, it’s always a bit of gamble to overtake. Once you get into the groove however, the overall flow is uniquely satisfying, especially in a classic open wheeler. 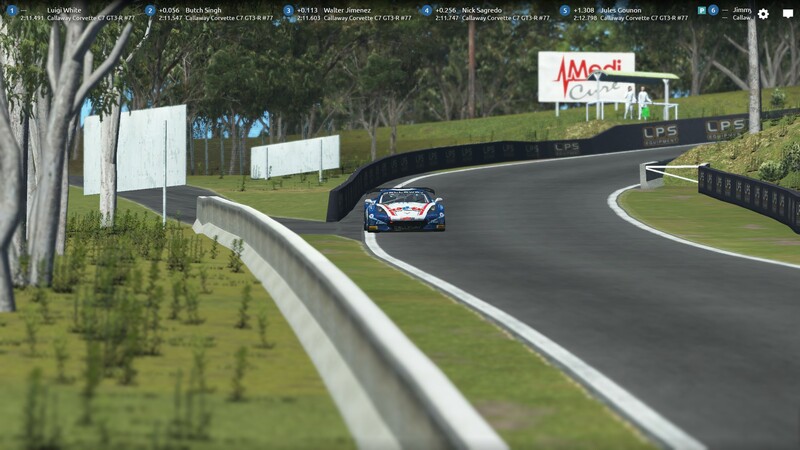 Realism, ‘real life’, “RL” – big words that perpetually bounce off the walls of the simracing interwebs. 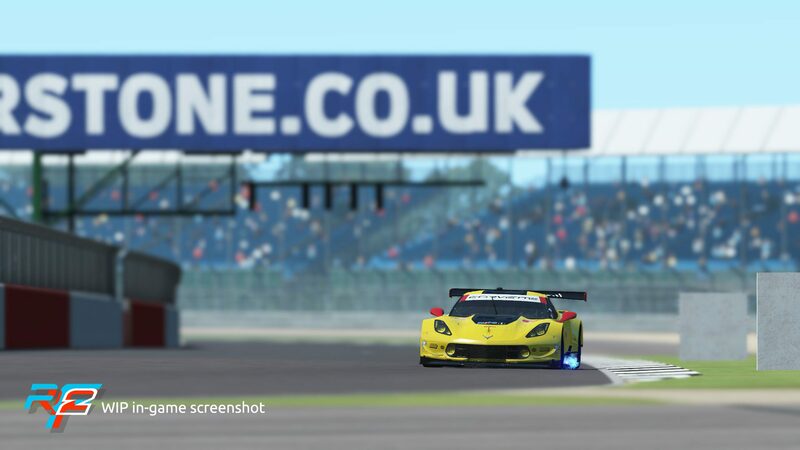 The community demands ever more realism, and studios respond by investing considerable sums into marketing that aims to validate a ‘sim’ title by positioning it next to its real life motorsports counterparts: Getting a well-known driver to sit in a rig and do some laps is a familiar promotional strategy. Of course we know it’s not that simple. It takes more than a visual association with “reality” to keep a sim on par with real-life motorsports. The high standards our fans and customers hold us to motivate us as a team to keep pushing. For us, achieving realism is not just about marketing. 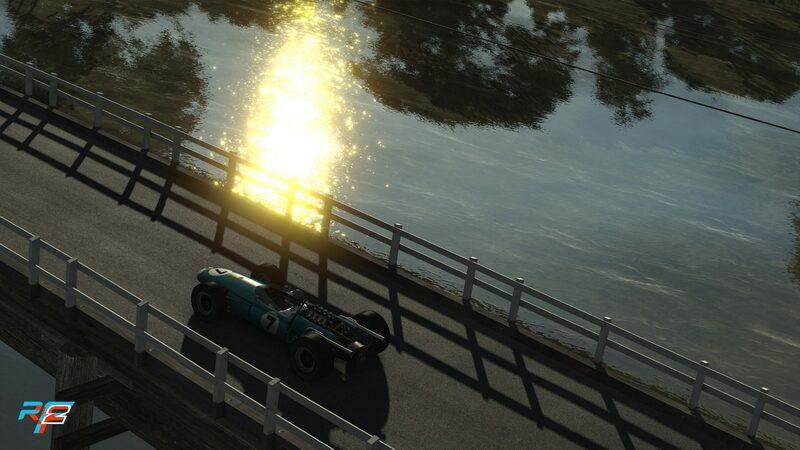 We believe that the underlying engine that powers our sim is in many ways unique in its vast capabilities to simulate car physics with astonishing detail and fidelity. Translating this potential into the highest level of realism, however, is no easy task. Accepting this challenge means it becomes very important to have access to real-world data and collaborate with the people who are deeply involved in real-world motorsports. 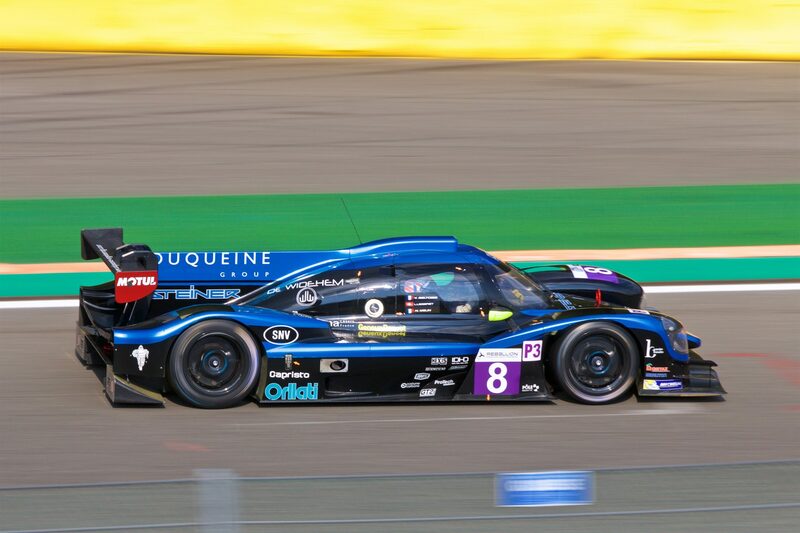 In a previous roadmap, we mentioned our recent visit to Duqueine Engineering in Ales France, where we worked on tuning the Norma LMP3 in rFactor 2. 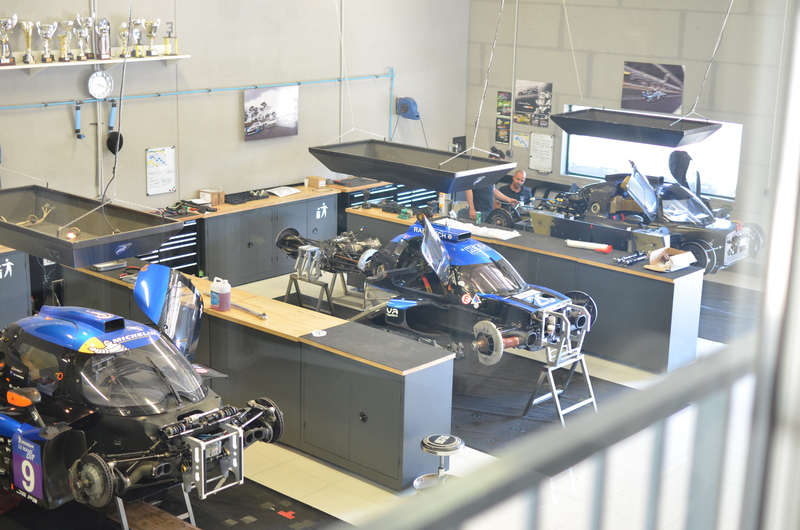 Duqueine Engineering, whose HQ is situated at the Mechanopôle test track in Ales France, is a dynamic and motivated young company with big ambitions and the drive to push their team to the next level. We had the pleasure of being invited by Duqueine’s Team Principal, Yann Belhomme, and head race engineer, Max Favard. 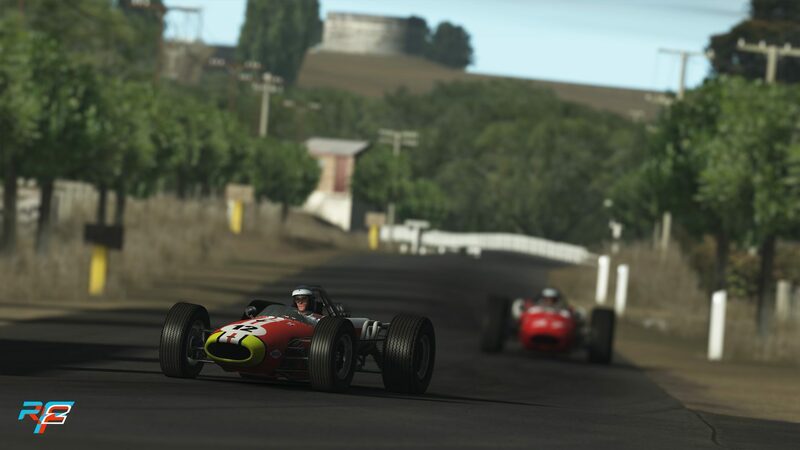 Max is not only knowledgeable when it comes to real-world racing and what it takes to set up a winning car, he also has a solid understanding of and real appreciation for “simracing”. 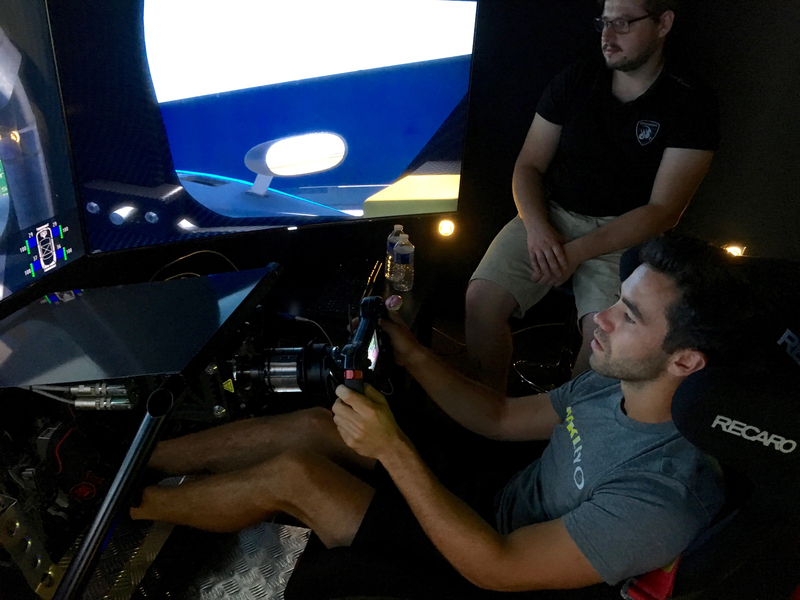 He regularly organizes intense 1- and 2-day sessions in Duqueine’s cutting-edge sim rig to coach professional drivers and amateurs. Drivers benefit from immediate feedback that is partly based on telemetry and partly based on Max’s keen eye for racecraft. Max then critiques each stint and reviews telemetry on the fly with the driver. Our first visit to Duqueine HQ back in May, which focused on the Norma LMP3 physics and testing, went so well that we decided to meet up again and put our heads together to expand on our initial collaboration. For our second visit, we concentrated on improving the current set of tires used by our GTEs and LMPs. Again, Max Favard’s expertise in race engineering, backed up with very specific feedback and data, proved indispensable. To our absolute delight, Indy Lights and now Duqueine LMP2 driver Nicolas Jamin had flown in specifically to help with this task. He tirelessly test drove every minute change over the course of three days, and his years of experience in multiple racing series were invaluable. Rolling up our collective sleeves, we went through an intense series of sessions to put our tires under real scrutiny, which involved short and long stints in the Duqueine simrig, testing both wet and dry compounds. Following each stint, we exchanged ideas and checked the telemetry data. Several tracks were used as benchmarks, including a slightly earlier version of our newly-released, laser scanned version of Sebring. The opportunity to test this hyper accurate track with an experienced driver, able to put it through its paces, was an unexpected bonus. And we are happy to report that Nicolas, who has driven the track many times in various cars, was extremely impressed with the accuracy in the road details. By overlaying the data from the actual car stints from previous races, we were able to adjust and, ultimately, implement tangible improvements to our current set of tires. Of course data was not the only criterion, we also took into account the overall feel of the car. Nicolas’ detailed knowledge of how the tires behave helped us modify and tweak the end result and get that much closer to achieving an optimal balance. Making these improvements on the fly relied on our physics development team working remotely in real time. Changes were first discussed at Duqueine, we then exchanged feedback and questions back and forth between teams and repeatedly recompiled the cars. Each iteration was tested with the most recent changes in the simrig until everyone was happy with the outcome. 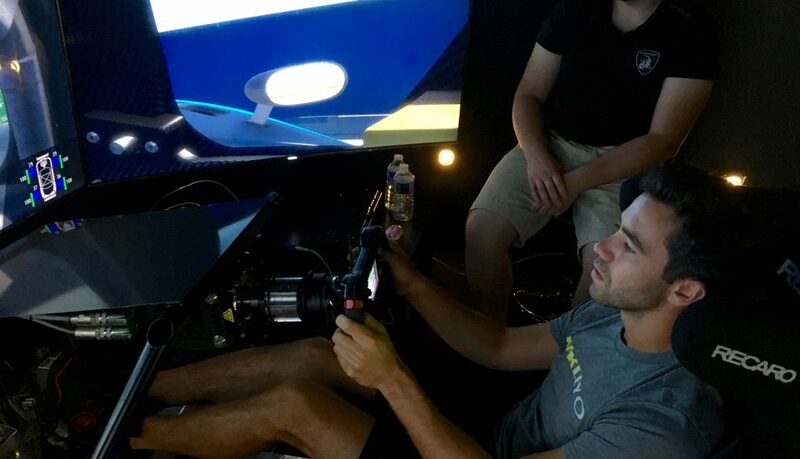 Although we did take some glossy pics of Nicolas driving rFactor 2 in the enviable Duqueine rig, the really exciting part of this adventure was the close collaborative spirit shown by all involved and the collective interest to improve physics – a hands-on, blood-sweat-and-tears endeavor with loads of coffee! 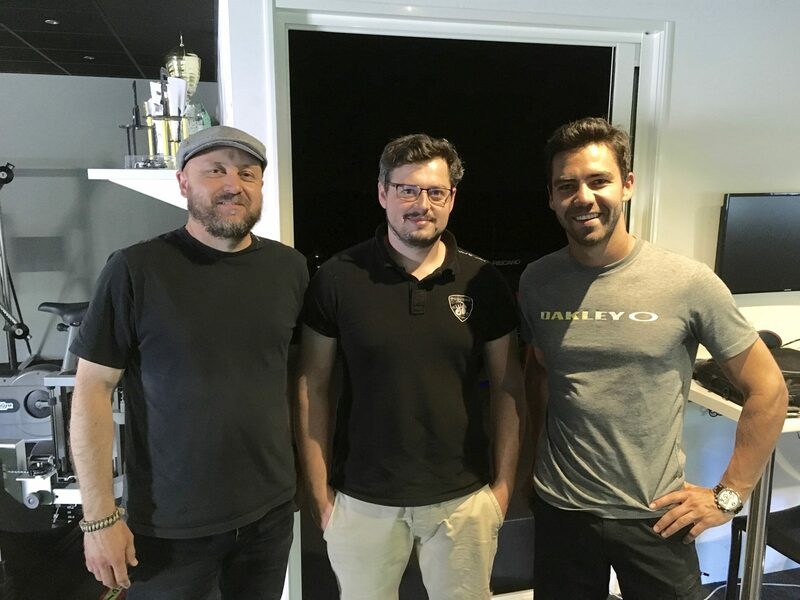 A big thanks to Yann Belhomme, Max Favard, Nicolas Jamin, and Laurents Hörr (who test drove the Norma in the first session), Jonathan Wagg, and the whole team at Duqueine Engineering for their hospitality and continual dedication – it was a blast! Your know-how helps us push ahead and keep it real. We at Studio 397 love all kind of raw racing and motorsport. The good ol’ times of Formula racing are without a doubt, a time where racing was at its purest. The cars were beasts, the tracks always a tough challenge, and the drivers brilliant and fearless maniacs. 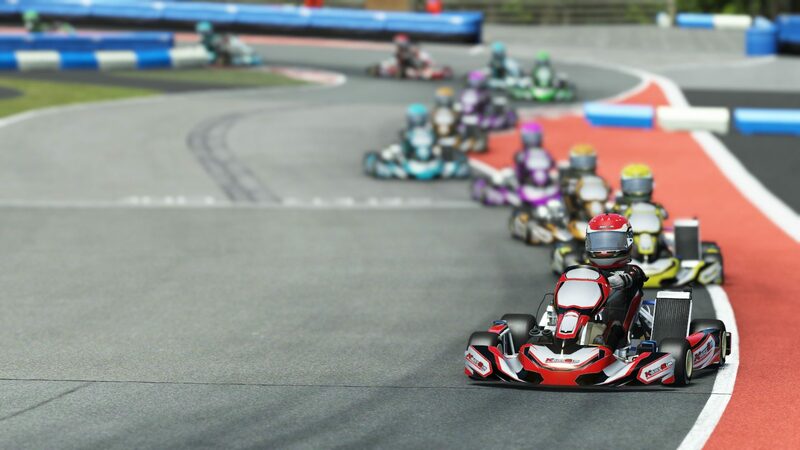 We’re proud to be able to take you guys back to those days, where every race was the challenge of your life. 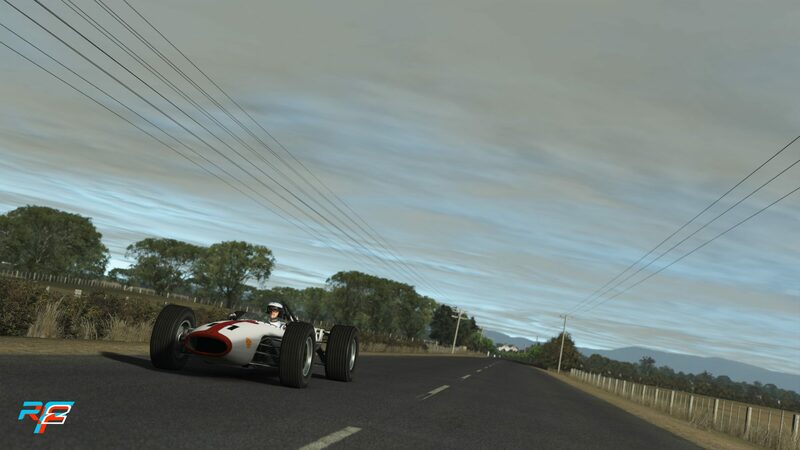 Two free new cars for rFactor 2 bringing you all the fun and excitement of a classic era. 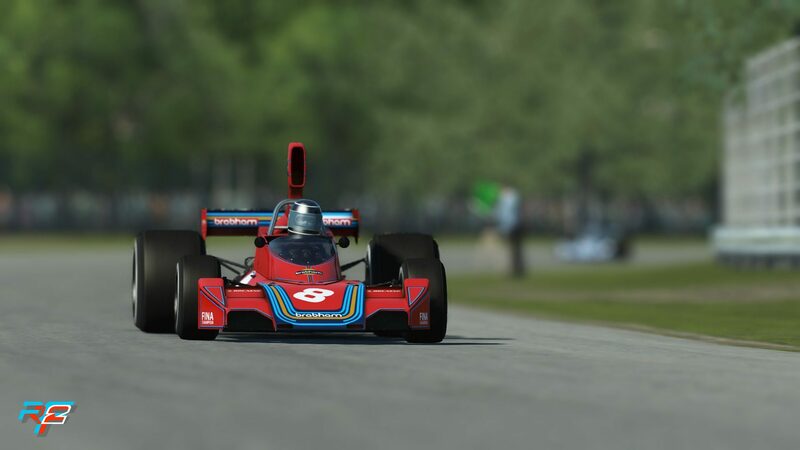 Relive those golden moments with the March 761 and the Brabham BT44b and bring back Formula racing of the 70’s to classic or even modern racetracks. A fragile but rocket-like fast F1 car, designed and manufactured by UK based March Engineering. 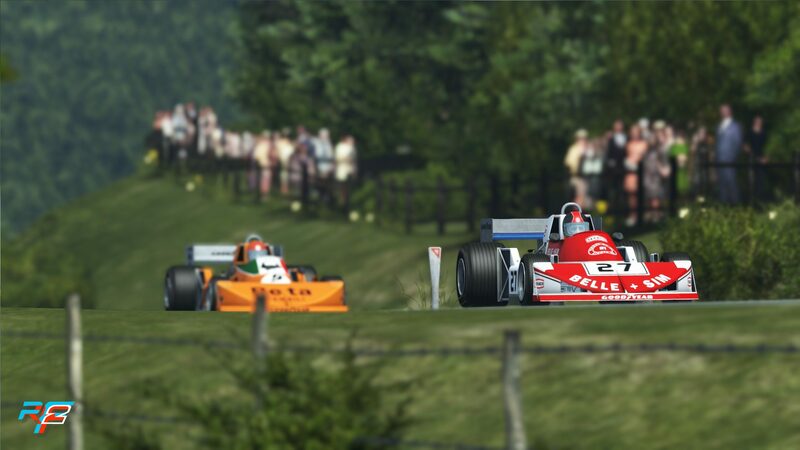 With a background of designing F2 cars and the experience of many different racing series, March Engineering brought this car into F1 in 1976. An interesting fact is that these cars used a sponsorship that changed from race to race, resulting in many wildly different liveries being used throughout the season. The car used by Brabham in 1975 wasn´t anything extraordinary from just looking at the individual parts. Marrying a Cosworth DFV engine to a Hewland FG gearbox was considered standard practice that time, so the BT44b didn´t stand out. But the team worked hard not only on improving the reliability of this combination, but also on the performance in certain areas, as well as making sure the BT44b features a very low centre of gravity. With all these coming together, Brabham managed to have their most successful season since 1969, finishing 2nd in the constructors championship. Another month has flown by! The February 2018 roadmap is here! And as usual we haven’t just been twiddling our button boxes, we’ve been furiously making improvements and creating new and exciting content and features, some of which we are happy to share with you now. This short month has been a whirlwind of activity, which included competition infrastructure, getting in some new features for the new UI, testing performance optimizations, and building new content, both track and car. We mentioned last month already that performance was being worked on, it’s still one of our main priorities, we’re continuing to chip away at it and have come even further, it should not be long now until we can release these improvements to you. It’s safe to say you’ll will be very surprised at the end results. In our internal testing we’ve seen a substantial performance boost and higher frame-rates across the board. As with anything though we are cautious, it’s in the hands of our internal test team to make sure it’s all working as expected. The content team has been keeping very busy, as usual, which is not hard as we have a lot of new content in the planning. 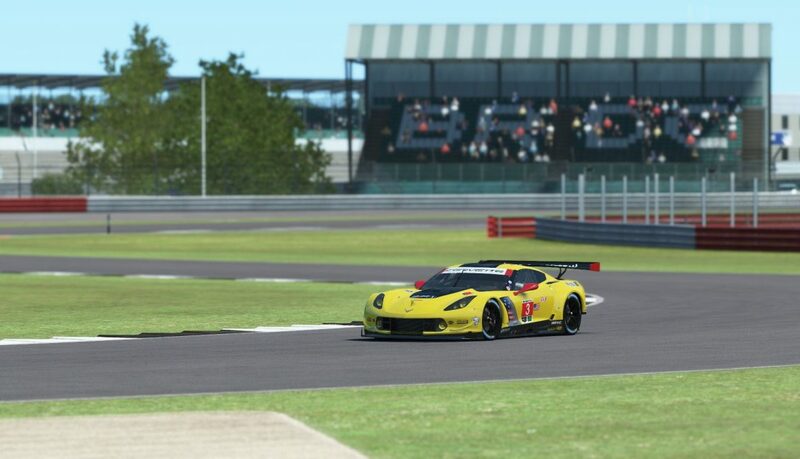 Recently, on social, we teased this car with a short movie with a roaring V8, and the license for it has been announced over a year ago, but now you can finally see the car during internal testing at Silverstone. 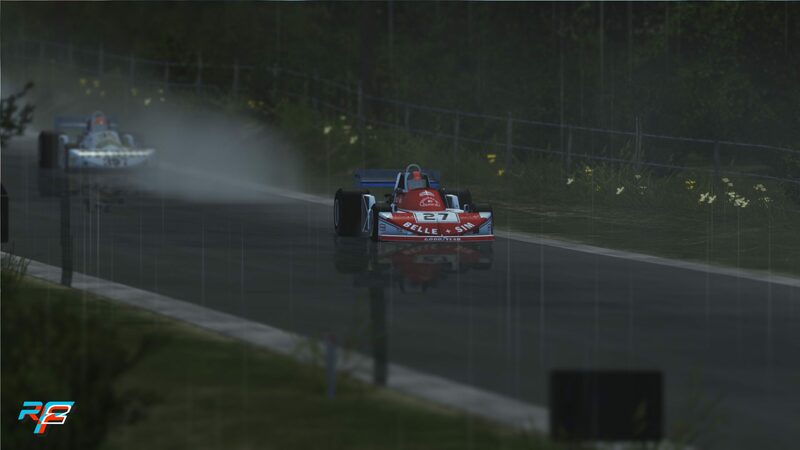 Scheduled for a late April release, this car will not come alone and will be part of a new upcoming pack. We’re super chuffed to see an LMP3 enter the grid! The Norma M30 is a fairly recent car that has already built up an impressive record in the races it has competed in, such as in the ELMS race last year at Spa, where we took this picture of it. We’re sure this new class will become quite popular in rFactor 2! 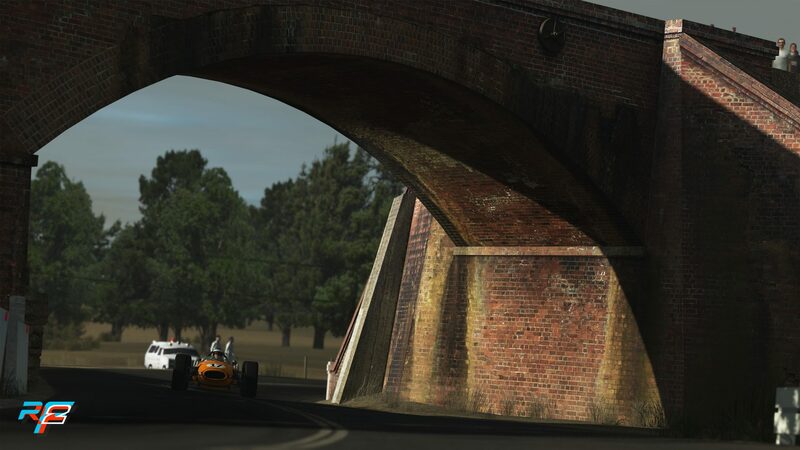 Last but not least, we can now proudly announce that we have licensed America’s oldest road racing track, host to many historic endurance races. 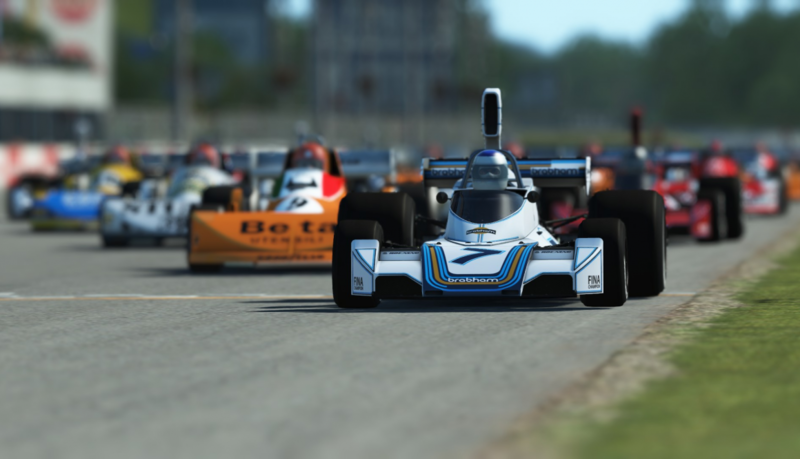 Sebring International Raceway is being built based on a laser scan we did last month. This is a first for us and although we have made many tracks based on CAD data and other information that have been quite accurate, this scan will allow us to get every little detail right. It will take us a couple of months to finish this one, but we are working on it feverishly! The official Studio 397 HUD is still being polished and refined, we know you are impatient to get your hands on it, while working on it we’ve come across a few bugs that lay dormant deep in the code that we needed to address, this is a win-win for the HUD in general and we decided it needs attention. It will certainly be part of the next build. Our UI is making leaps and bounds, we’ve got most of the basic features in and some new slick features. For starters we’ve looked at making triple screen setup much more intuitive, with a full set of controls via the UI settings screen. This will be an additional functionality to go along with the on track pop up widget. Next we overhauled the live replay screen, controls are now not only selectable via controls as before but also via mouse clicks. Also we’ve added in a modern drop down standing ticker, for easy access to driver times from the live replay. This incidentally also shows our capabilities to overlay HTML with live camera feeds, a technique we will leverage in other places such as broadcast overlays. In the realm of competition we have our full time team actively hacking away at a very inclusive and encompassing competition structure, which is a big task not done overnight! We have big plans and that’s why we want to do this from the ground up the right way. 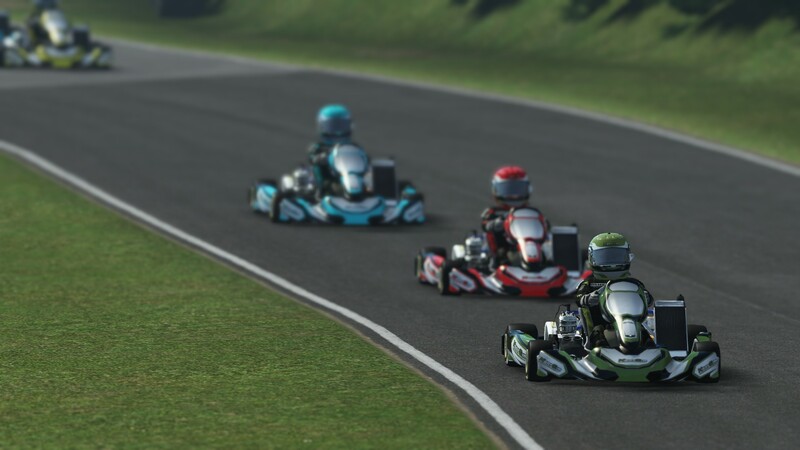 Our next big task has been the implementation of full race series, including sign ups, practice, qualification and multiple race heats over a set period of time. These new features are ongoing and need a lot of testing so we are looking at a little while more to get this up and running, but it’s not that far off, we can see the horizon! 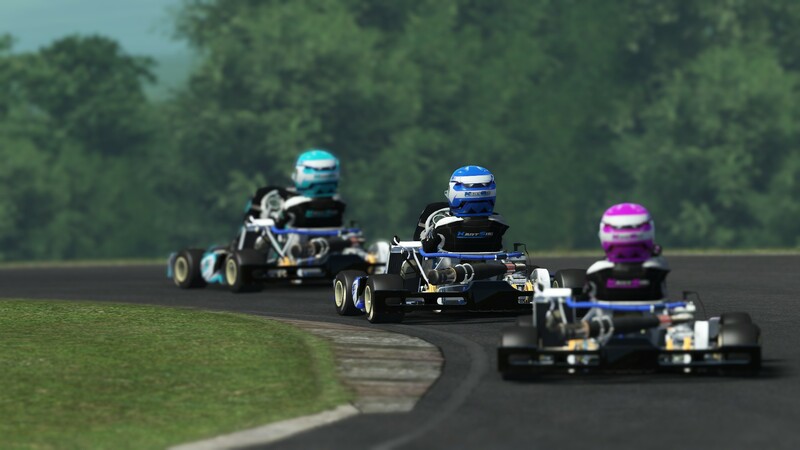 We already announced that a consumer release of KartSim is coming soon. Currently this version is undergoing final testing and polishing to include our visual damage model and the latest rain effects. 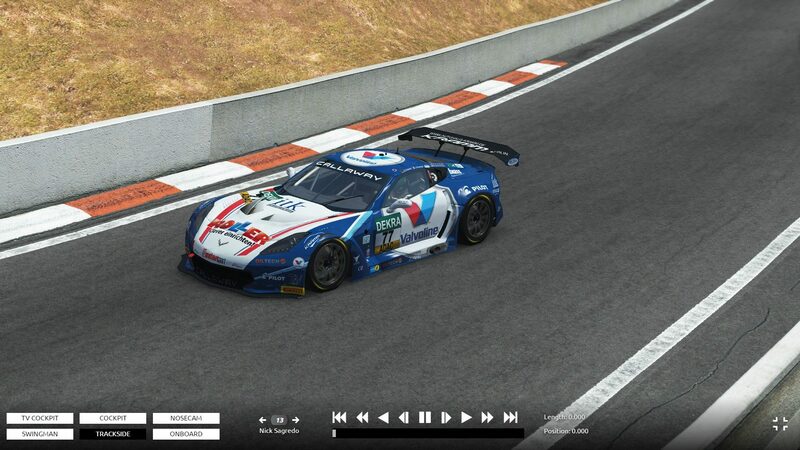 Just to show you how good it looks, a few more shots to keep you entertained until its release. In our ongoing effort to encourage more of that community vibe, we will be adding a new forum area to showcase your original paint artwork, screenshots, and videos. 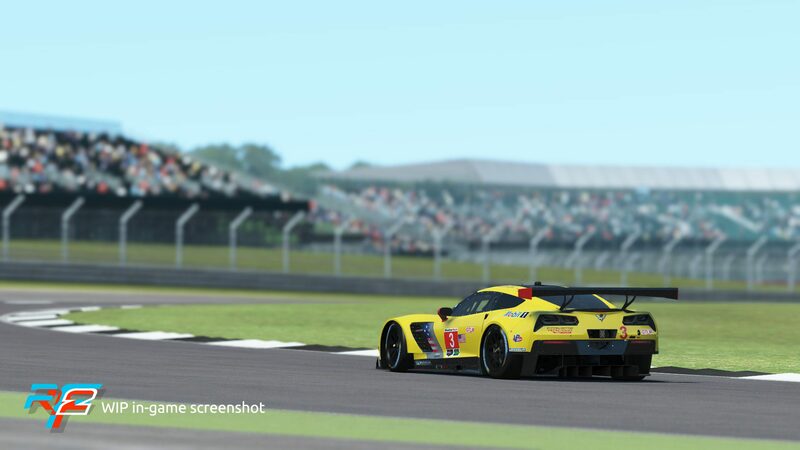 Additionally, we will also be adding all templates for existing cars to the base install, that way everyone has access to the latest updated templates. Our plan is to streamline the templates and their extra parts so there’s less guesswork and more creative time! That’s all for the shortest month of the year! See you on track!